Reading and share top 1 Malcolm Jamal Warner famous quotes and sayings. 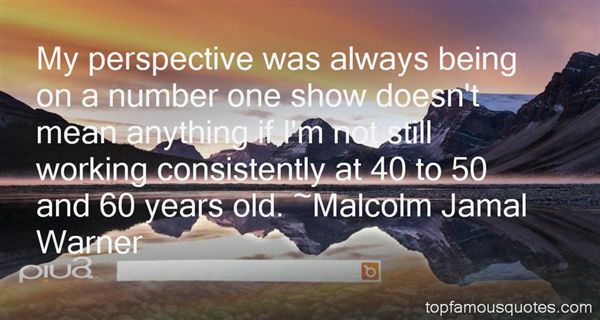 Browse top 1 most favorite famous quotes and sayings by Malcolm Jamal Warner. When I get old and slow down I want to look behind me and see all the fire and the wreckage and no stone left unturned."